Educate Africa originally began in 2017 with Dr Saralees Nadarajah supporting the University of Zimbabwe in Harare, the oldest and largest university of the country, by providing lectures for local university students. Zimbabwe is currently ranked the poorest country in Africa. Unemployment is over 90 percent, inflation is the highest in the world and well educated academics have left the country, leaving a limited amount in Zimbabwe to educate students at universities. 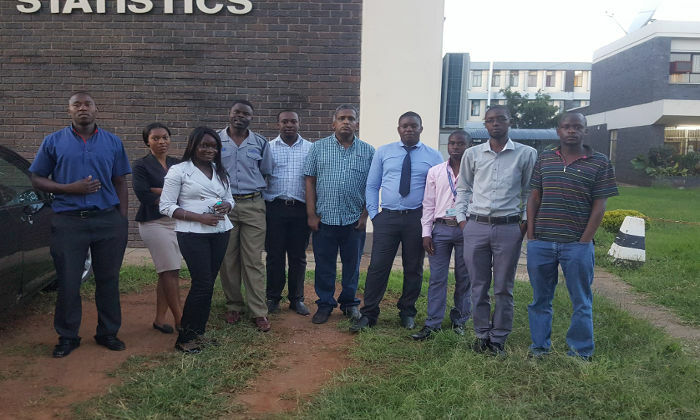 Starting in October 2017, Dr Nadarajah has been teaching postgraduate courses in statistics completely free of charge for students in the University of Zimbabwe. As Statistics is Dr Nadarajah area of expertise he offers courses in this area for various levels. This activity is on-going and expected to last for many years to come. Online teaching is done using the ZOOM platform (an on-line conference room) for 2 hours on Saturday and 2 hours on Sunday. Teaching involves demonstration of real data modelling using known software. Lecture notes, tutorial sheets and solutions are emailed to students weekly. ZOOM allows students to interact with Dr Nadarajah during the session, providing a more engaging experience. To extend efforts, Dr Nadarajah and Post Graduate student Martin Wiegand hope to establish a free learning platform, with lecture material, chatrooms and online-lectures. Due to personal academic backgrounds the team are restricted to certain fields of mathematics. With the help of others they hope to be able to supply free teaching at African universities, where courses otherwise would have to be cancelled. Dr Nadarajah’s work contributes to improving the living conditions of those individuals with whom he teaches. Today's technology enables information to spread faster than ever from anywhere, to anyplace, at any time and work like Educate Africa shows how this can be utilised for positive social impact.